Got my 4mm scale Mojo back! 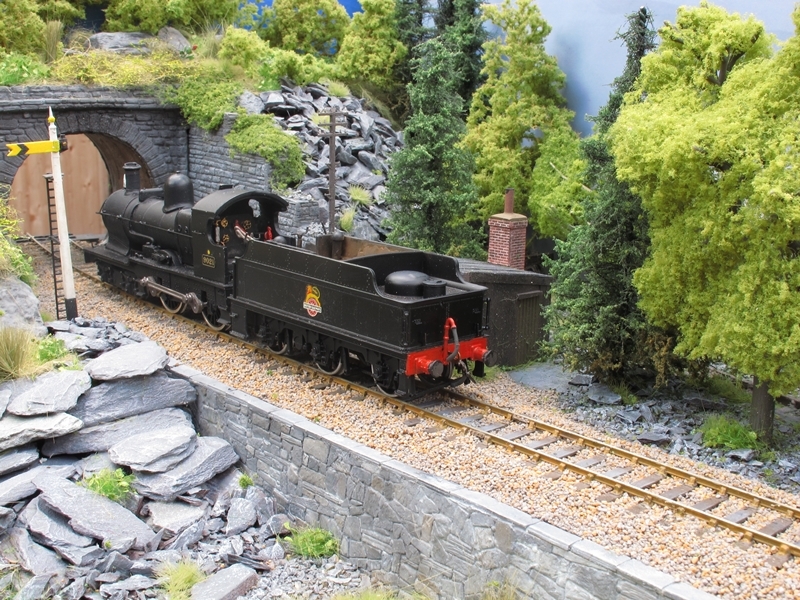 The weather here in the Midlands has been fine for a couple of days so I have taken the opportunity to bring the two modules built so far for "Steam on the Cambrian" out of the relative gloom of my outside workshop and into some decent light for some photography.This entry then is more of a pictorial overview of progress so far. 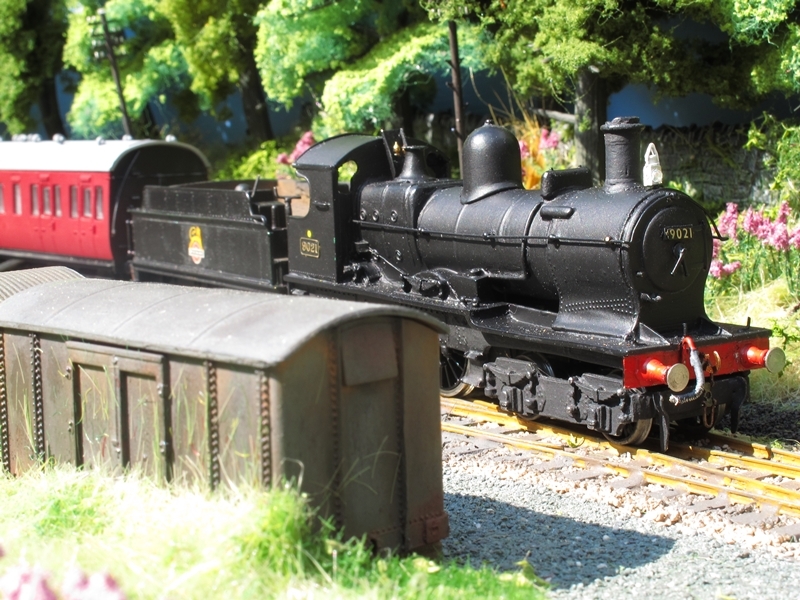 Let's start with module 2 "Penmaenpool MPD"
"Dukedog" 9021 (with top feed) passes Pemaenpool MPD with the local Barmouth- Dollgelly shuttle service.No doubt the "Pedants" will point out that "Dogs" did not normally operate this service but, Rule 1 applies! 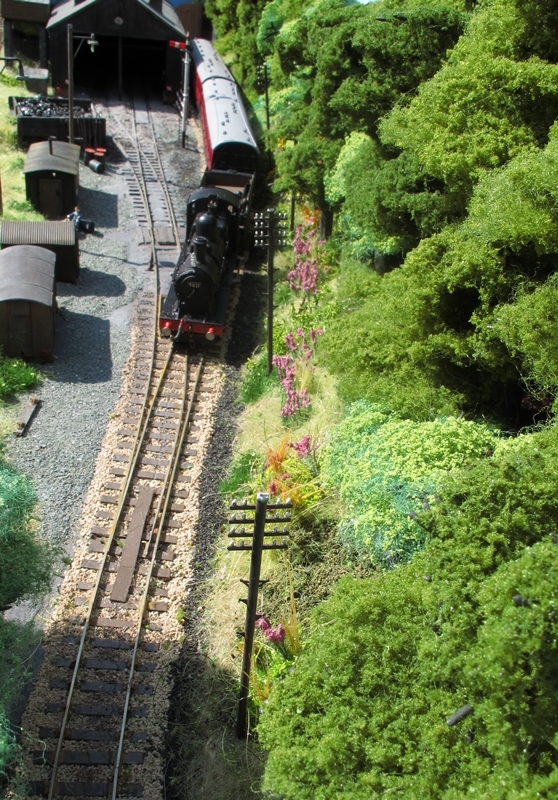 The same train as above but from another viewpoint (up a tree!) Note I have fitted the facing point lock cover but point rodding, ground disc and other details are still to be added. Small prairie tank 4560 passing with a short freight coast bound. 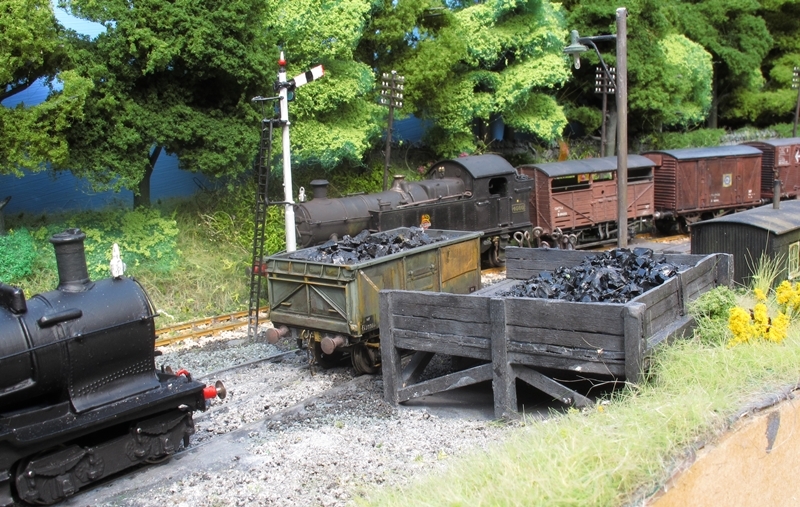 Coal waits to be unloaded at the coal stage and Dukedog 9021 sits "on shed" waiting it's next turn of duty. Another view of 4560 as it waits for the signal to drop. 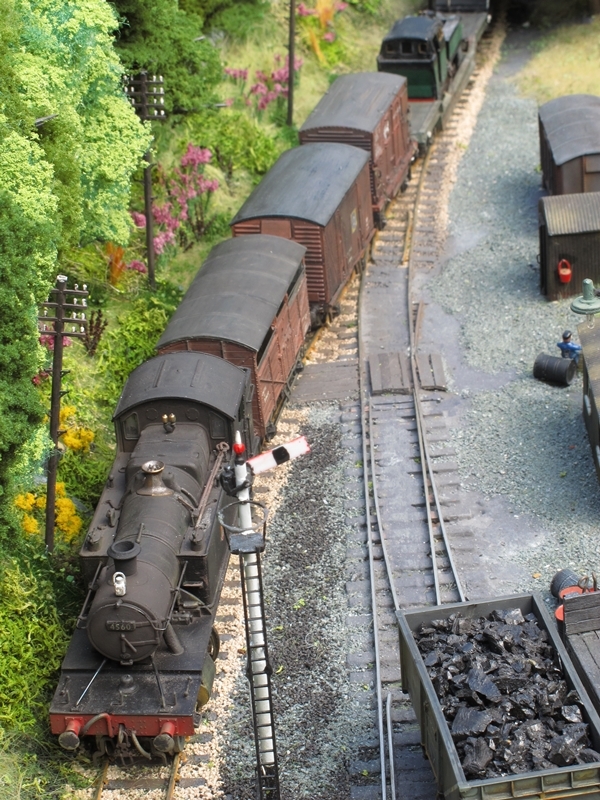 (this view from the shed roof) at the rear of the consist can be seen a narrow gauge loco on a well wagon no doubt destined for Porthmadog and the Ffestiniog Railway. Moving on..to the other module completed(?) last summer, this module is "Morfa Bach" based on the location of the same name.However the prototype location did not have a timber trestle bridge.I wanted one of these typical Cambrian structures on my layout so a great deal of Modeller's licence has been used here! 9021 again! 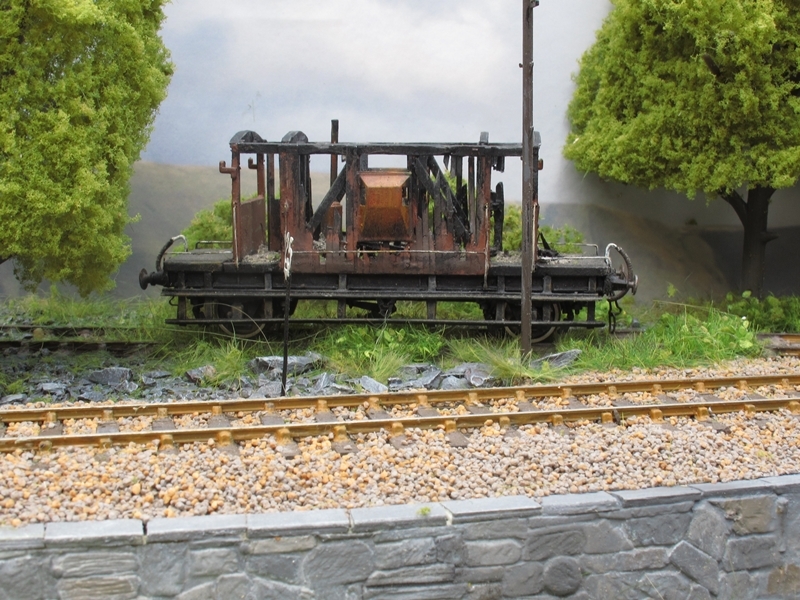 This time running light engine across the (fictional) timber trestle bridge on Morfa Bach. The burnt out brake van that used to feature on my previous layout "Pen Y Bont" has some how been shunted into Morfa Bach ballast siding! Well I hope this update has bought all of you up to speed with progress on this new layout. I have my first outing already booked at Telford in September. I have more pictures taken today but will post them next time. 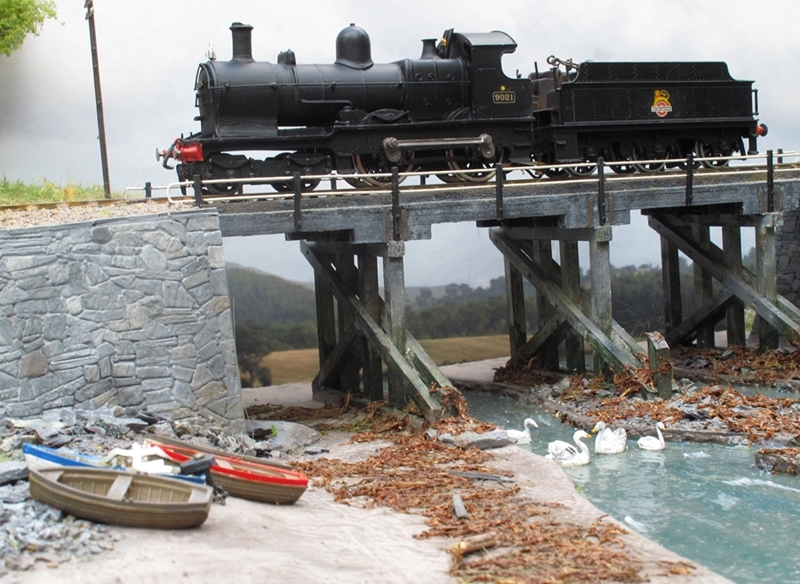 I really like that timber bridge Frank, and the way you've modelled the setting with the tide out. You can almost smell the rotten weed laying on the bank.